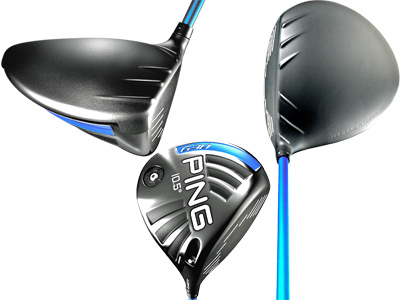 The PING G30 driver in the month of April, according equipment sales as tracked by Golf Datatech, not only maintained but increased its lead as the number one selling driver in the U.S. Driver sales are traditionally the highest in April as the golf season begins across most of the U.S. This past month G30 market share rose to approximately 14 percent of all drivers sold which translated into 19 percent of dollars spent in the combined sell-through in on- and off-course retail stores. The G30 was already the best-selling driver of 2015, January through March, at just over 11 percent market share in units sold and over 15 percent of dollars spent. In April unit sales were 56 percent greater than the second place model. The G30, which retails for $350, is not the least expensive driver in shops but has built up a reputation for performance primarily for the “Turbulators” on the crown designed to reduce aerodynamic drag which helps to increase clubhead speed. For the months of January through April combined, the G30 driver was #1 in units and dollars, with shares of 12.30% and 16.47%, respectively. Over the nine months since its introduction in July last year, it’s been the top-selling driver model in units (10.27%) and revenue (14.64%).